Noble Environmental Power is one of them. (The other, UPC Wind, operates downstate.) The investigation is based on months of research by the Attorney General’s office, including a discreet visit to Malone by an Assistant Attorney General to interview town officers and other interested parties. “The allegations include accusations that the companies improperly sought or obtained land-use agreements with public officials and the officials’ relatives and acquaintances; gave bribes and other improper benefits to public officials; and entered into anti-competitive agreements or practices…. A Cuomo spokesman added that the two subpoenas are just the beginning. ‘This is an initial part of an ongoing investigation,’ said spokesman John Milgrim” (The Buffalo News, 7/16/08, p. A2). Last week, District Attorney Derek Champagne forcefully stepped into the vacuum of government control over conflicts of interest between municipal officers and the wind developers. Up till then, every single NYS agency had been passing the buck about enforcing NYS General Municipal Law (GML) against (obvious) conflicts of interest. Meanwhile, while this story plays out, mark this date on your calendar, April 2, 2008. The day the buck stopped with District Attorney Derek Champagne. The day “clean, green, renewable” wind energy moved from town hall to county courthouse—where, tragically, it belongs. It is said History repeats itself. Enron’s hubris drove it into corruption, then court, then jail. The Attorney General’s announcement yesterday opens Chapter Two of this sordid story: Courthouse. RiverCityMalone applauds Mr. Champagne for initiating this inquiry and getting the AG involved. The word “applause” is not enough; we’re talking, folks, about one damn good DA. This took uncommon vision and determination. And lots of work. The man deserves a ticker-tape parade. All this is not to hang Noble. One of the most critical institutions in America is due process before the law. Let Noble have its day in court. At the same time let the people of this state, through their attorney general, examine all the relevant evidence Noble has in its files. Meanwhile, the turbines go up. Daily. 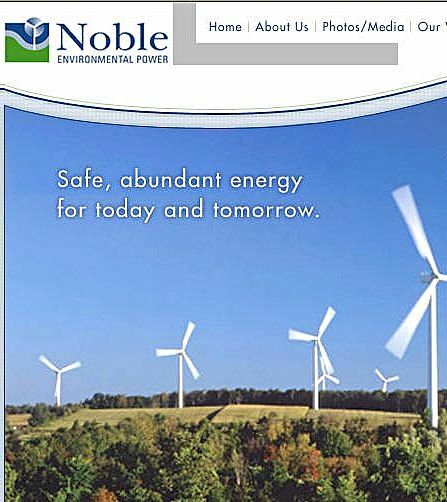 Whether Noble’s turbines have been producing any electricity is a good question. (Yes, they’ve been spinning, but that’s not the same as generating power.) The Federal Energy Regulatory Commission (FERC) maintains a website (click here) whereon anyone can find out precisely how much electricity Noble’s windfarms are producing. (Not just Noble and not just wind energy, but all producers of electricity throughout the country.) FERC does not show any power generation for Noble’s windfarms through June 30, 2008. This may be because the production figures are still being processed, or because there has been no power generated so far. It’s unclear. The full text of the AG’s press release follows. Click here to read it on the AG’s website. ALBANY, NY (July 15, 2008)—Attorney General Andrew M. Cuomo announced today the launching of an investigation into two companies developing and operating wind farms across New York state amid allegations of improper dealings with public officials and anti-competitive practices. » All documents concerning any benefits conferred on any individual or entity in connection with wind farm activity. » All agreements, easements or contracts with individuals regarding placement of wind turbines. » Agreements between wind companies that may indicate anti-competitive practices. 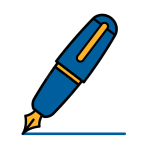 » All documents pertaining to any payments or benefits received from local, state or federal agencies. All of us need “safe, abundant” energy today and tomorrow. We must ensure everyone benefits and no one is disadvantaged. When a doubt arises in anyone’s mind, transparency is the order of the day. In these times we need someone of honesty, integrity and a determinination to investigate where necessary, to bring the truth and clarity to the forefront. Many of us would like to congratulate Attorney General Cuomo and District Attorney Champagne and their entire staff for investigating and seeking to expose the true facts surrounding the wind energy industry. It is hoped this investigation is just the beginning, and others will follow. We are behind you 100%. We salute you, sir!